After listening to our markets and consulting with PPG color experts we’ve compiled a collection of colors that reflect our customer’s diverse styles and the current design trends. Throughout our testing process we wanted to preserve the most popular colors while incorporating the latest trends and combinations. With thousands of different color combinations and pairings, we’re certain you’ll find the perfect exterior color for your new Tuff Shed building. And if for some reason we don’t have a color you’re looking for, you always have the option to supply us with your preferred paint and color. 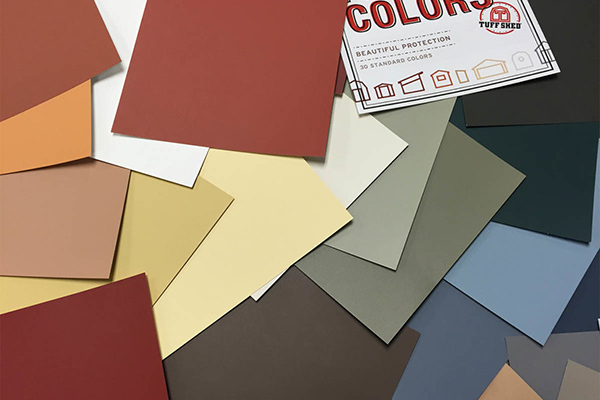 If you aren’t content viewing our colors via the web, you can order free Tuff Shed swatch samples directly from PPG by clicking this link.